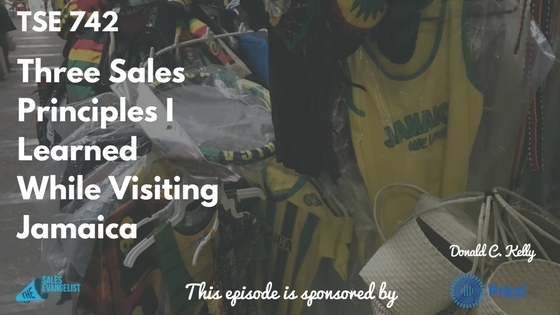 Today, I’m sharing with your some sales principles that learned while I was on a vacation to my homeland, Jamaica. You see, the average salary in Jamaica ranges from $149,000 to as low as $16,667 (Jamaican dollars). Now, imagine living off out of that much. Say, US$500 a month? It’s not easy but they make it work anyway. So how are they able to do it? Jamaica has been known for the quality of education they provide to students. But the major challenge is being able to translate people’s education into opportunities in the real world. Principle #1: When life gives you lemon, sell it and buy food. Jamaicans are very creative and crafty. Whatever they’re going through, even challenges, they make sure they have a good time. Music is everywhere in Jamaica. Everyone is out playing music. You’ve got to take whatever life gives you, be happy, and use it. People in Jamaica don’t complain or whine too much about their situation. If you have a tough situation in your life, figure out to make it work. That’s the idea! 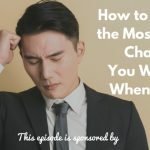 As a sales professional, you may be dealing with difficulties right now, but take what you have and make it work – at least for now. The key is having this kind of mentality. Jamaicans are sellers. Everywhere they went, they’re trying to sell. They find a way to create something even from nothing. Principle #2: Outwork everyone including yourself. As a sales professional, the most important thing you need to outrun is your yesterday. Your yesterday is not who you are, but who you were. Today, is going to be who you are. What kind of person do you want to be? Sure, you’ve probably closed $5,000 worth of sales yesterday. But today’s another day. You need to close $6,000 to outbeat that person – and that is yourself. Stop comparing yourself to other people. Compare to your yesterday, however, and outbeat that. Principle #3: Be happy. Be content with who you are and with life even if it’s not in your favor. $500 here in the U.S. will only take you so far, even in Jamaica. But people there are happy. They take care of themselves and their loved ones. There are many things for you to look forward in life. There are things more important than money. No one should take your happiness away from you. Your loved ones are always something you can go back to, your grounding source. So be grateful for what you have. 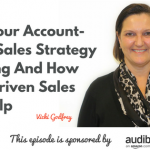 Check out Episode 737 for more sales tips and strategies!